Africa needs more women innovators and change-makers, particularly when it comes to harnessing the power of technology to find solutions to key challenges. Mozambique has one such woman innovator in Gérsia Sequeira, co-founder of the Instituto de Tecnologias, Inovação e Serviços - ITIS in Maputo. She is on a mission to innovate for continuous improvement in areas such as education, e-government and entrepreneurship development. LoA met with the inspirational Gérsia recently at the inaugural Lioness Lean In Breakfast event in Maputo to find out more. ITIS is a software development company committed to bring innovative solutions for Education, Entrepreneurship and eGovernment. Our major value is to deliver local solutions with global impact. "ITIS is a software development company committed to bring innovative solutions for Education, Entrepreneurship and eGovernment. Our major value is to deliver local solutions with global impact." As a group of 4 recent graduates and with different fields of expertise, we noticed that there was a huge gap between what we were taught and what our country reality presented to us, and so we decided to take action and create interventions in areas such as improving education, as well as monitoring systems to enforce governmental policies (eGovernment). Our weapon of choice: Informatics Systems. We are always looking forward to something more. It has to be meaningful, it has to be relevant… it has to be pleasant. Our slogan is “Innovation as a continuous requirement”. Our slogan is “Innovation as a continuous requirement”. Amongst the crew you will find managers, designers, programmers, marketers, and so on… Something that glues the team together is our passion for transformation. Each one of us is totally committed to giving the best in every situation. 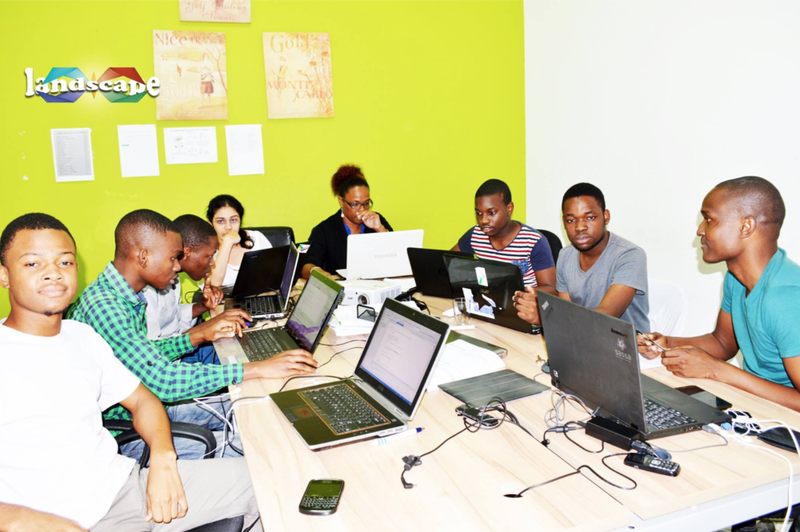 The project started 5 years ago in a small garage where 4 friends worked night after night (as the days were filled with formal jobs) to develop the first Mozambican Software for Entrepreneurship and Enterprise Management Simulation. It was an immediate success, and since then more than 15000 students have been trained in 9 universities around the country. ITIS was awarded the Most Innovative Young Enterprise of 2014 Award in the ranking of the top 100 enterprises in Mozambique. We keep running as fast as we can, and we are launching new products and solutions every year. For example, in 2016 we launched the “Portal de Estagios” a nationwide portal for internship seeking, and “txeca-la.co.mz” a mobile app for home industry entrepreneurs. "Something that glues the team together is our passion for transformation. Each one of us is totally committed to giving the best in every situation." We have the opportunity to give back to society and live a meaningful life, whilst at the same time having lots of fun.